WINTER. This is one of a set of four images which show the same scene in different seasons. 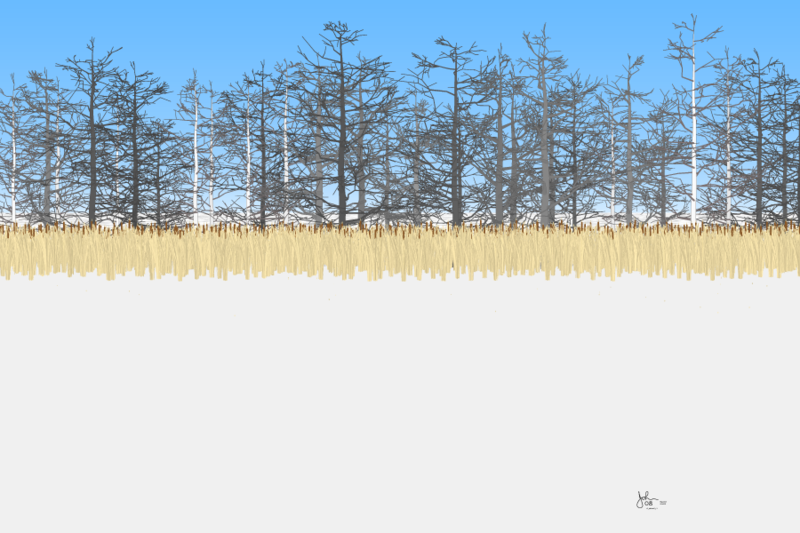 The tree trunks and branches and the reeds are the same in all four images, except for the color of the reeds. Leaves are shown for summer and fall, and again they are identical except for the coloration. In going from one image to another it is as if you were walking in the woods past the same place in all four seasons.